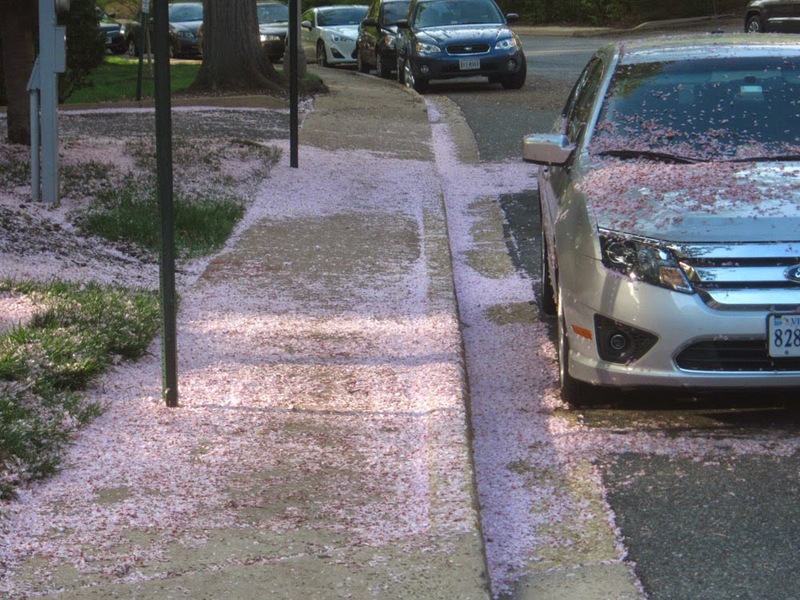 Trees at Rosslyn's historically important Westmoreland Terrace Condominiums have set down a pink carpet of flower petals for persons passing by on the sidewalk. Everybody in Rosslyn is special. Everybody gets the pink-carpet treatment.